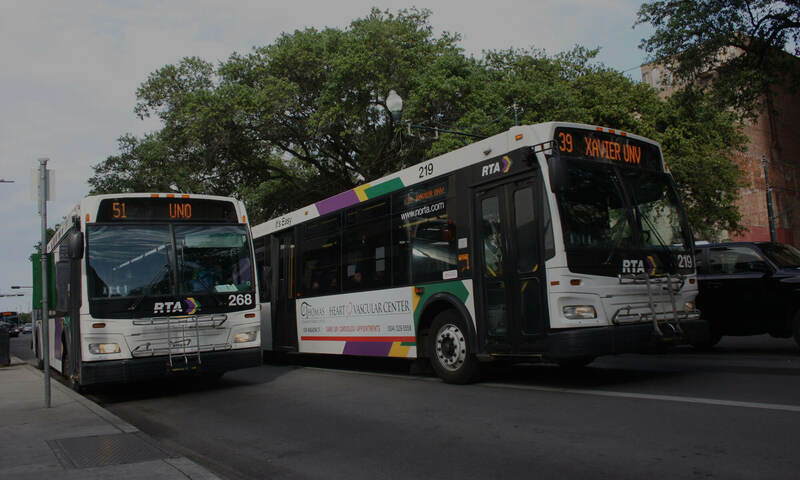 Overall, Ride New Orleans is pleased with the proposed service changes and we want to offer kudos to the RTA. These proposals are rooted in sound transit planning principles, increasing frequency and making for faster travel times. We commend the decisions to keep the #88 St. Claude/Jackson Barracks going to Canal Street. The #88 St. Claude is the third busiest bus line in the system and keeping the line going to our primary transfer point means riders won’t take a step backwards in terms of their access to jobs, education, and other opportunities. This is also true for the #91 Jackson/Esplanade and #57 Franklin buses who, for the majority of riders, will be going to Canal or beyond. We know that there will be smaller percentage of people working in the Quarter who will affected. However, as long as we’re providing more transit choices, coordinating transfers, and increasing frequency, riders will have more access and opportunity to reach their destination quickly and safely. We loudly applaud the proposal to restore direct Canal Street access for riders of the #15 Freret and #28 Martin Luther King. This is exciting news and will better connect several neighborhoods with the rest of the city and will help build back the ridership that was lost when those lines were rerouted to the UPT. In the second option for streetcar service, we’re interested in the increased frequency gained by stopping the #55 Elysian Fields & the #5 Marigny/Bywater at the French Market (20 minutes and 40 minutes mins). We know that buses on Decatur in the French Quarter can sometimes get stuck behind bad traffic and get significantly behind schedule. Meanwhile, with increased service on St. Claude and the Riverfront line there are many more options available to riders to get to lower and upper Canal. These changes could provide riders along the line with a more reliable and quicker trip, even with the additional transfer. Again, when we see coordinated transfers, increased frequency, overall faster commutes, we want to lift that up and thank the RTA for making such thoughtful recommendations. Community engagement is also very important to Ride New Orleans. Riders’ voices need to be a major part any service alterations. We appreciate the numerous public information sessions last week and want to thank the outreach team for describing these changes in such detail. However, we would like to see more consensus building earlier in the construction timeline so that riders have the opportunity to be informed and provide their perspectives during the project rather than when the project is near completion. When riders have all the facts available to them earlier in the planning process it builds and maintains trust between them and the agency. This creates a stronger partnership better able to achieve our mutual goals – increasing transit availability and ridership. Overall though, these proposed route changes are a big win for riders and will better connect tens of thousands of riders to economic opportunities in the city and region. We congratulate your planning team, the Transdev staff, and the RTA Board on providing increased choice and increased frequency to the public – thank you for your efforts. Next PostNext Thank you to our State of Transit sponsors!